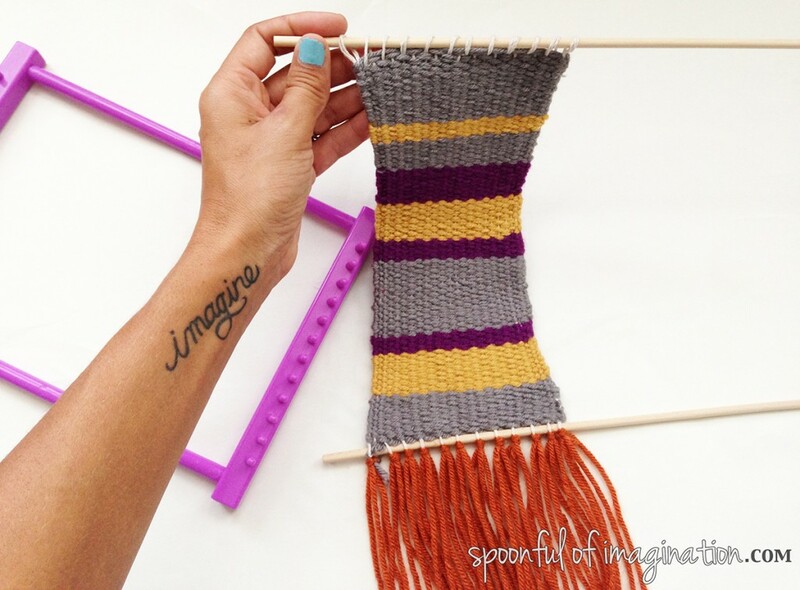 Have you seen the fun yarn and weave crafts that have been going around? 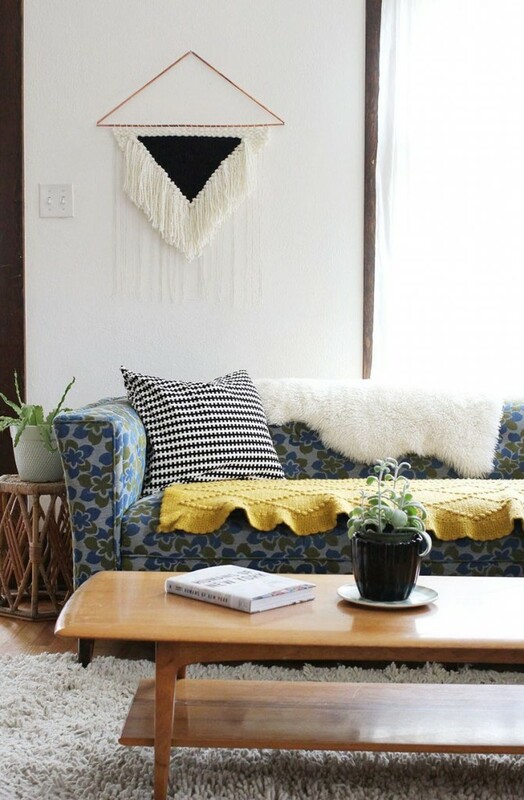 It seems like there is a wave of wall art that is different and based on lots of textiles. I LOVE it. 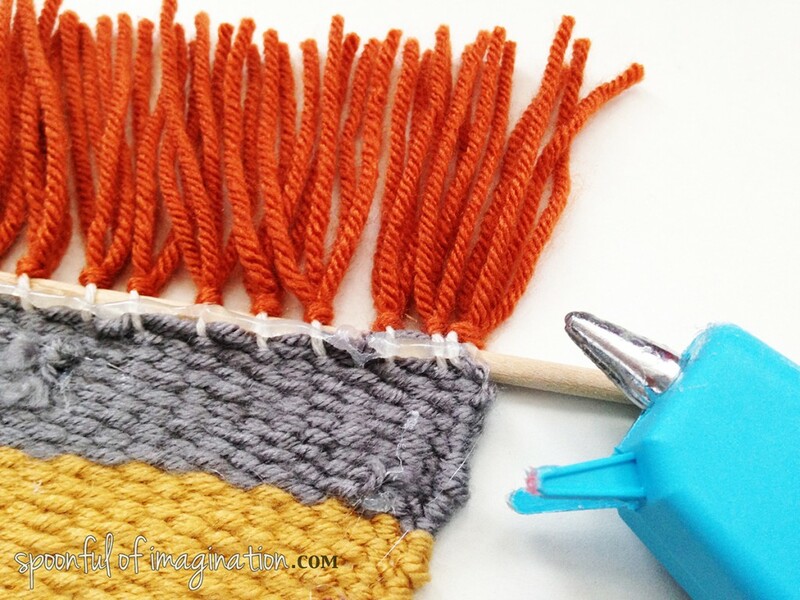 I have been so inspired by all the different materials and ways these textiles are being brought together to make something colorful and fun. Here are a few that have caught my eye. Disclosure: Please visit the sites of these next few pictures to read more about that craft and maybe get the tutorial or even purchase that creation! 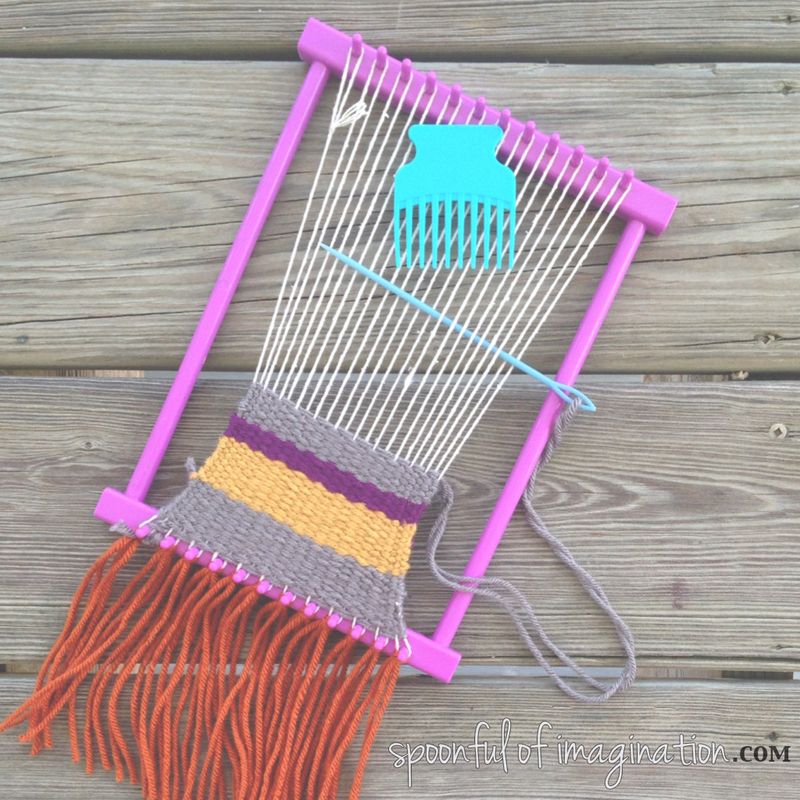 I love all the different possibilities with weaving. 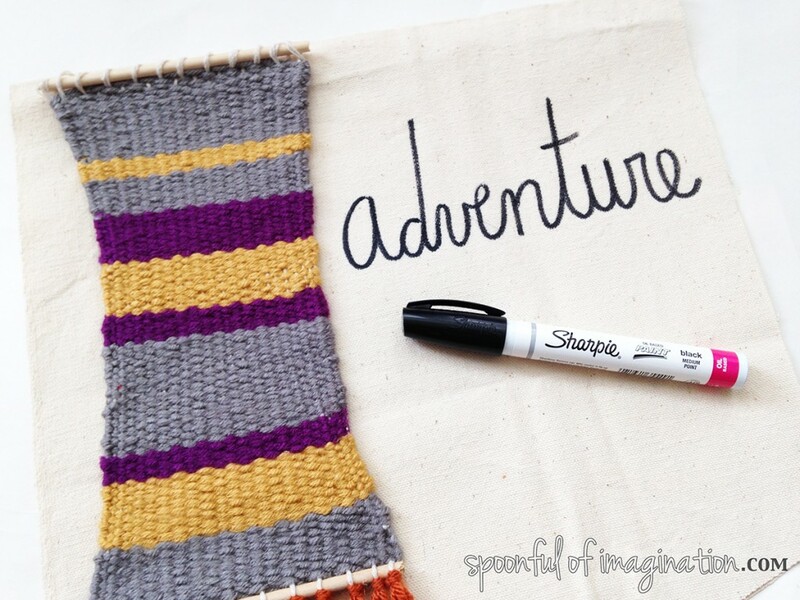 You can change up the color of yarns used, the size of your creation and add fun personalized touches all along the way. 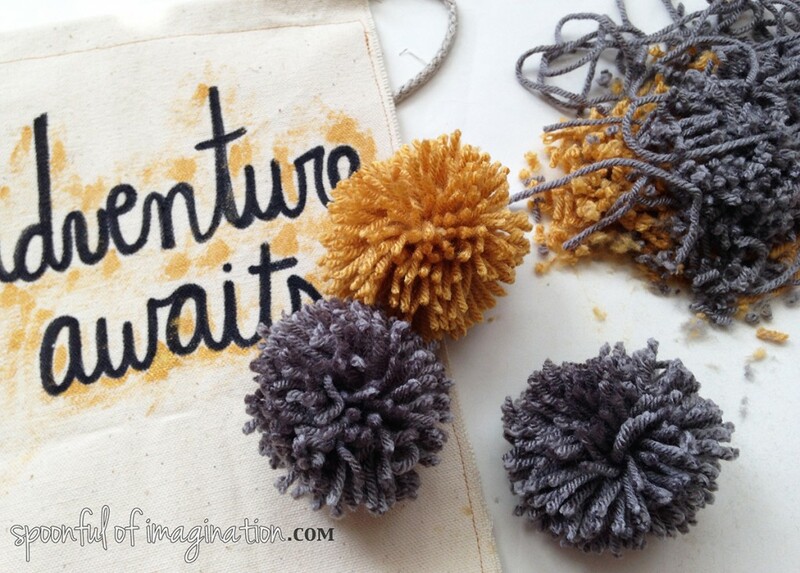 I love yarn pom poms. 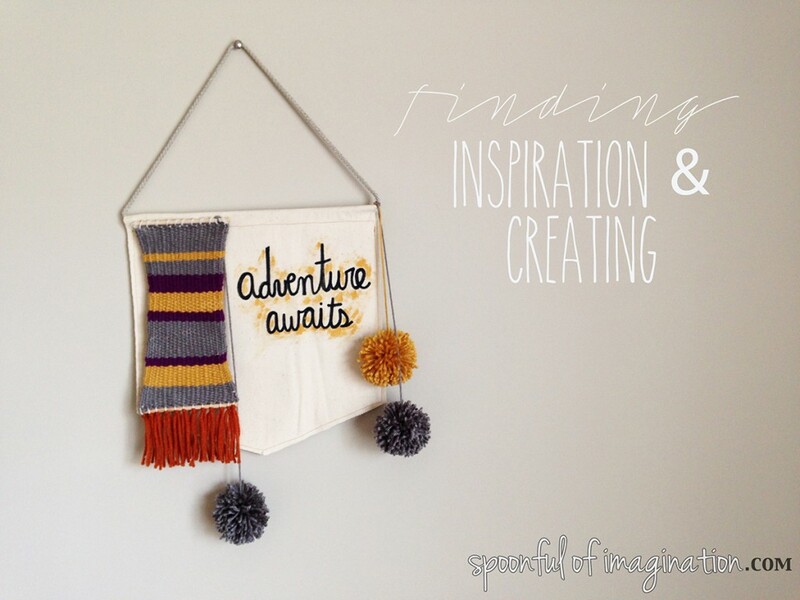 I cant get enough and have been wanting to create with them more since I added one to my felt pennant. The dream catcher caught my eye as well for the diverse possibilities! 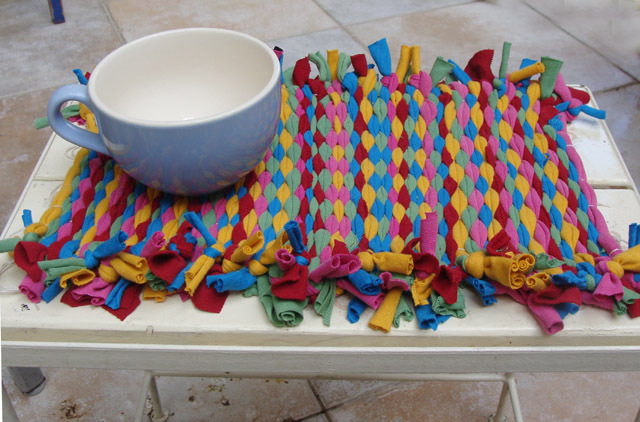 I love the idea of getting a bunch of ribbon and trims and use one of my embroidery hoops to hold them all together. 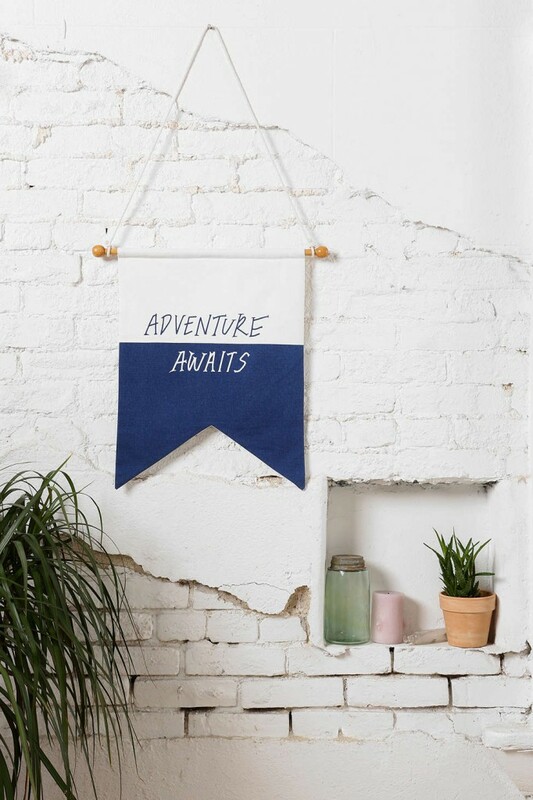 I loved the Adventure Awaits flag from Urban Outfitters. I love the message. What a cool short inspiration piece to encourage you in those rough down moments throughout the day! Quotes and inspirational phrases always get me, and they are a huge reason why I like to embroider and call that system my embroidery journal. I got to thinking that there had to be away to incorporate all these fun elements that I am loving. I set out to uses pieces of each of these ideas to create my own. I had never created a weave and honestly didn’t know where to start. I used the instructions from A Beautiful Mess to guide me. I found them easy to understand and the pictures were beautiful and spoke for themselves. My mom watched me as I started my weave and joked abut how it seemed like a first grade craft my brother did when he was younger. Yes, it really is that simple! 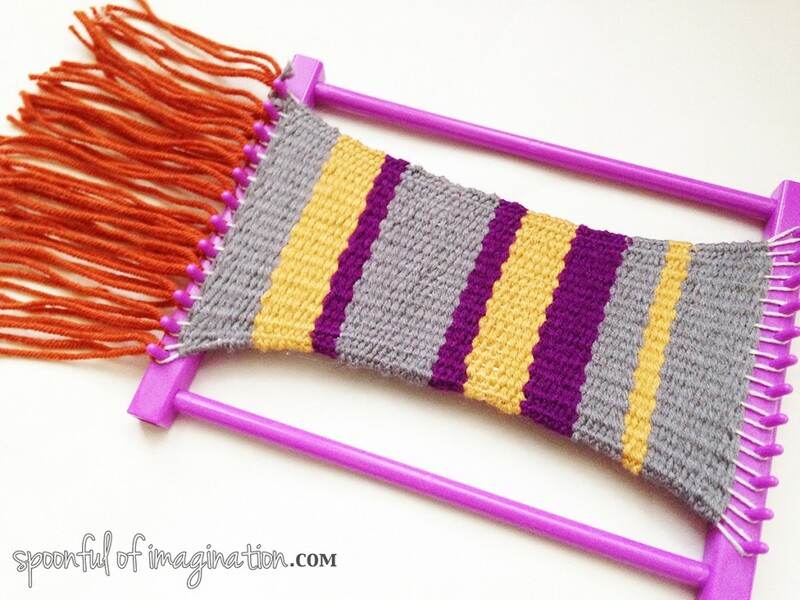 Once I finished my weave, I slipped the loops on a dowel rod and used a little hot glue on the back to hold them in place. Since this was only my first weave, I know there has to be a much better system to making sure the stitches stay tight. I will get there! Until then, I am so proud of my first little weave and it’s actually something I want to hold onto! Next, I needed to figure out how I wanted to add my inspirational phrase. 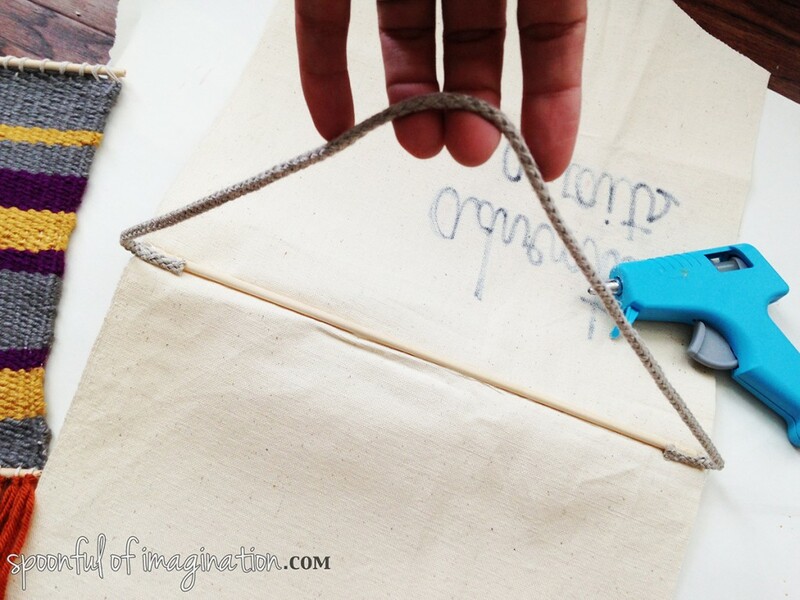 I used creme canvas and folded a piece in half and then cut the edge to have a nice, simple point in the middle. I then placed my weave on top to give me an idea for spacing my words. I used a sharpie paint pen and just started doodling my phrase. 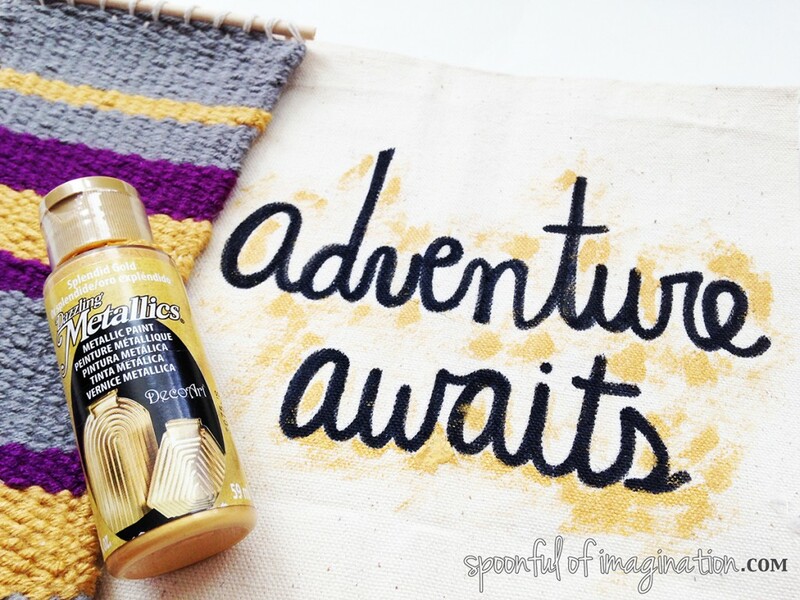 It was a little too plain for me with just the words alone, so I went back and added some gold paint accents that matched my yarn for another pop of color. I then added a dowel rod and some fun rope to make sure my creation could hang on the wall. 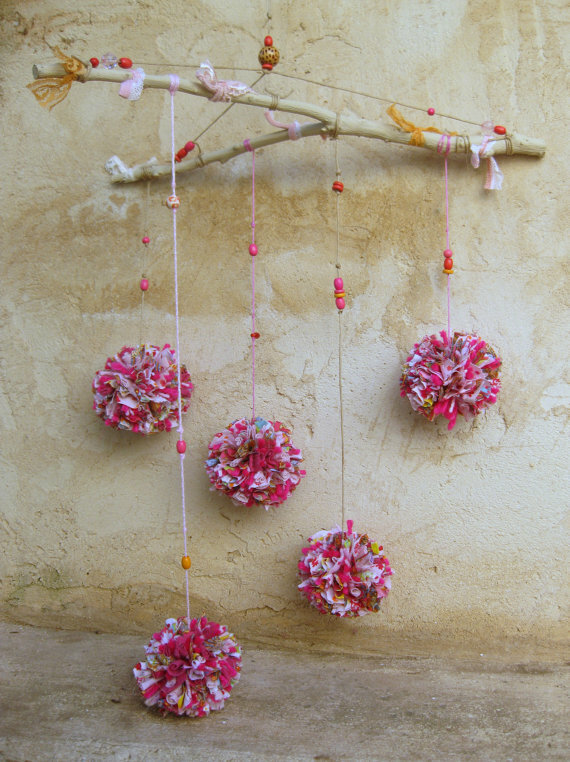 I then sewed around the edge, hot glued my weave to it at the top, and added some fun yarn pom poms to dangle down. I love it! 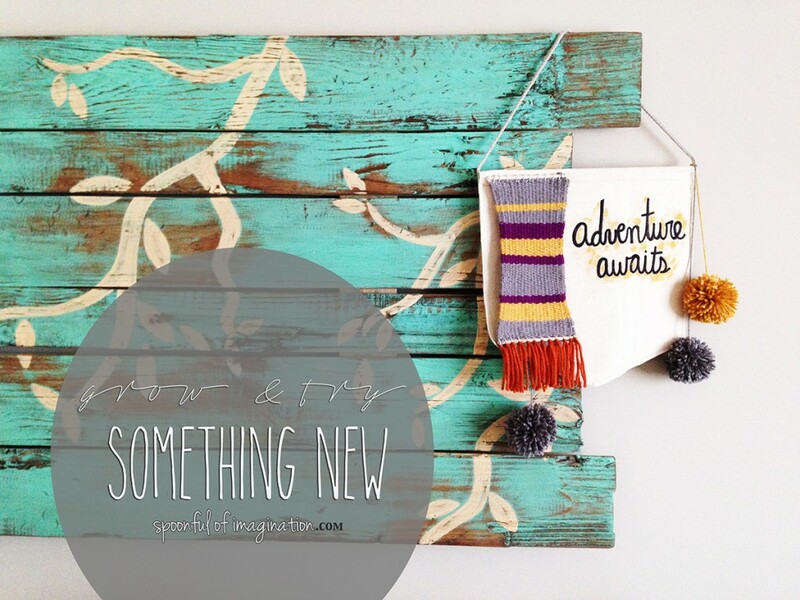 I love how this simple wall piece incorporates several things that have been catching my eye. For now it hangs on my headboard, and every time I see it I smile. I love that I now have my own piece that holds ideas and elements that inspire me. I want to weave more. 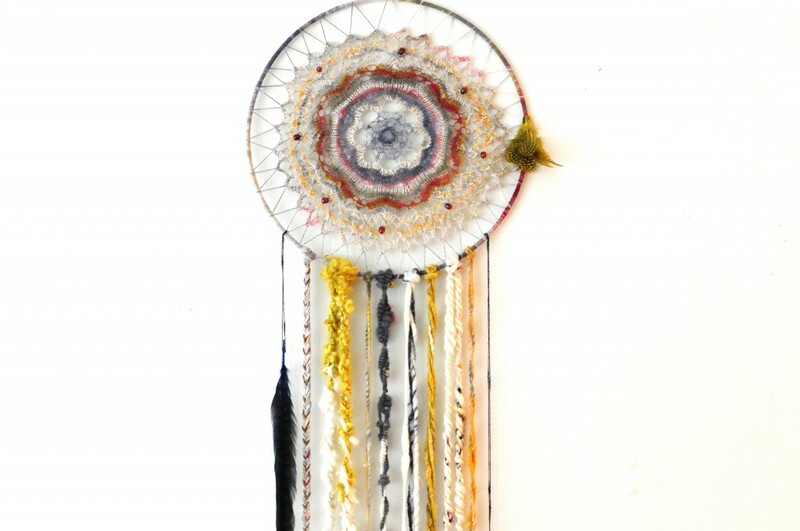 I may still do a dream catcher. I think I will definitely add more to this piece. Maybe some longer dangles? Maybe a painted arrow under the words? Maybe a fun trim at the tip to blend the weave and the flag together better? I’m not sure yet. I will have to stare at it longer, and it may be weeks or months from now before I “see” what it needs. I am proud I started though. I tried something new. I used things that have been inspiring my to try and create something of my own. What about you? 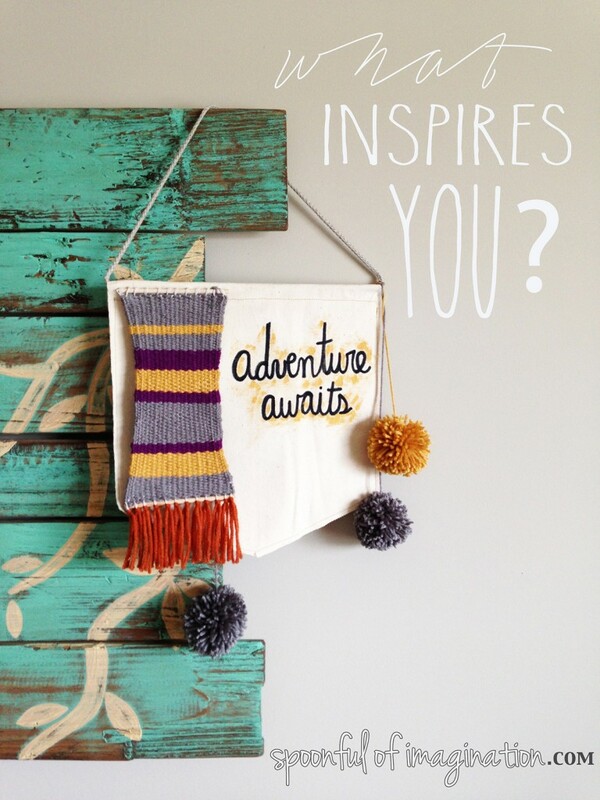 Where do you find inspiration? Are you scared to try something new? New things can be hard, but we have so much to learn from one another and never know what we are missing out-unless we try it! Try something new this next week!